I am proud to be in a community that's passionate about the future of Detroit. Inspired by WSU’s strong international program, Daina Robinson enrolled in the Law School and focuses on international law. When she’s not studying, Robinson serves as vice president of the Black Law Student Association, an Admissions Ambassador, and a member of the Jessup International Moot Court team. Dedicated to excellence and passionate about Detroit, Daina Robinson is WARRIOR STRONG. I like to illuminate possibilities. I am an instigator. Kavya Davuluri is committed to success — and not only her own. In addition to pursuing a psychology major and Spanish minor, this Irvin D. Reid Honors College student has made it her mission to help Warriors excel. 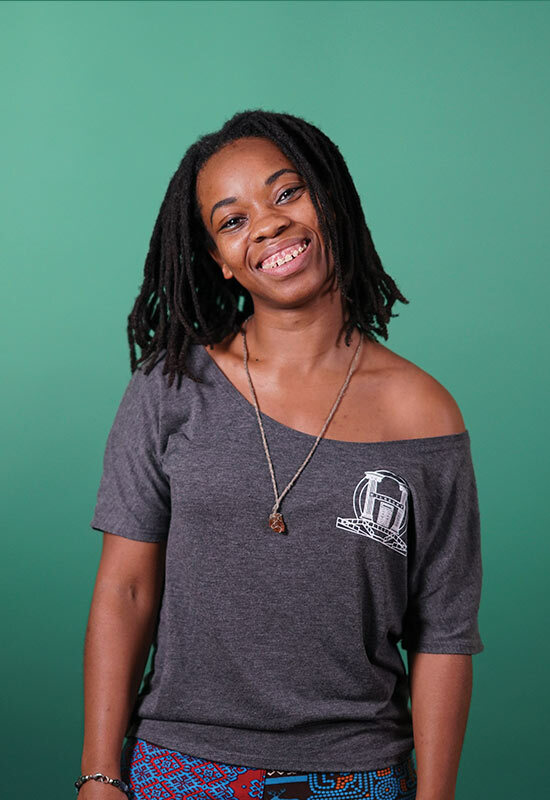 That's why she founded OptimizeWayne, a student-run organization that empowers Warriors to make positive social change in Detroit and throughout Michigan. 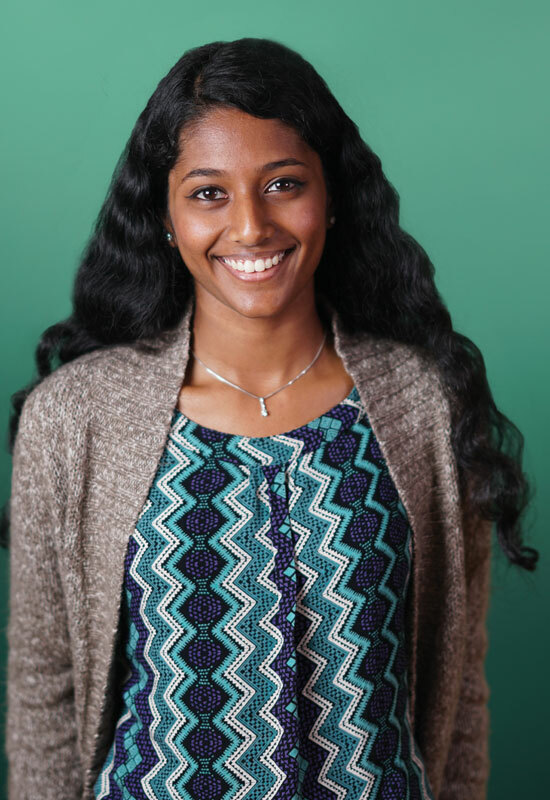 Proactive, passionate and driven, Kavya Davuluri is WARRIOR STRONG. Every door is open on this campus. 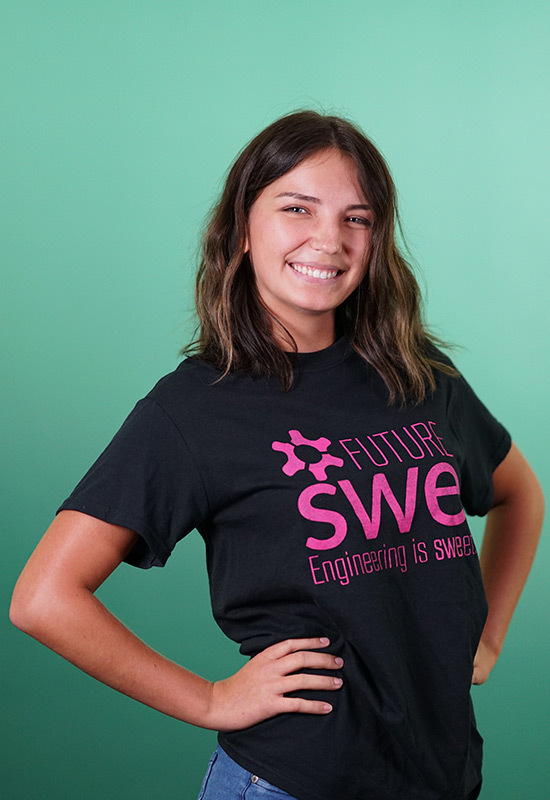 She’s pursuing her dream to be a pediatrician while studying ultrasound research, serving as president of the Society of Women Engineers and Timmy Global Health. When Sabrina Pakula finds a door, whether it is open or closed, she marches right through it. A motivated advocate who leads by example, Sabrina Pakula is WARRIOR STRONG. I'm part of Detroit's resurgence. 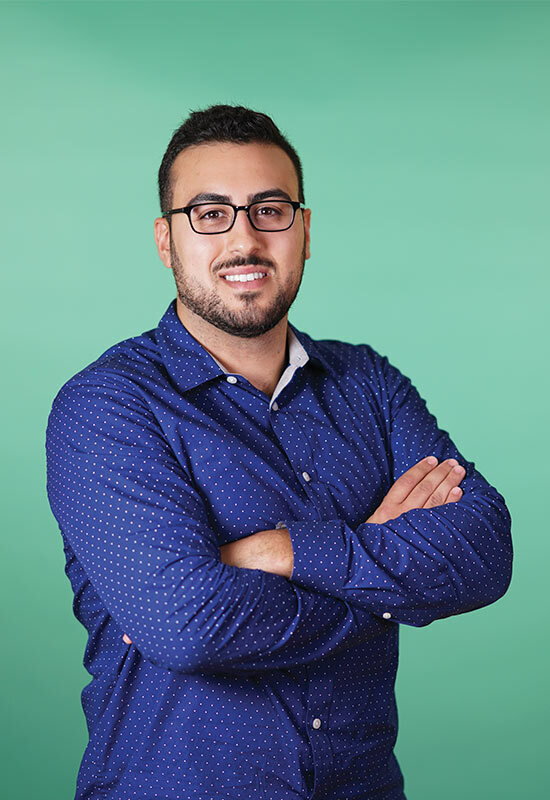 A scholarship recipient ranking in the top 5 percent of his class, as well as an extra in films throughout the city, Ramy Hijazi is a star on so many levels. Driven, involved and committed to excellence, Ramy Hijazi is WARRIOR STRONG. Isaac Weiss is a dedicated musician and composer, performing with fellow students at Orchestra Hall while maintaining a 4.0 GPA. After graduation, Weiss will pass on his love of performing by teaching high school orchestra. 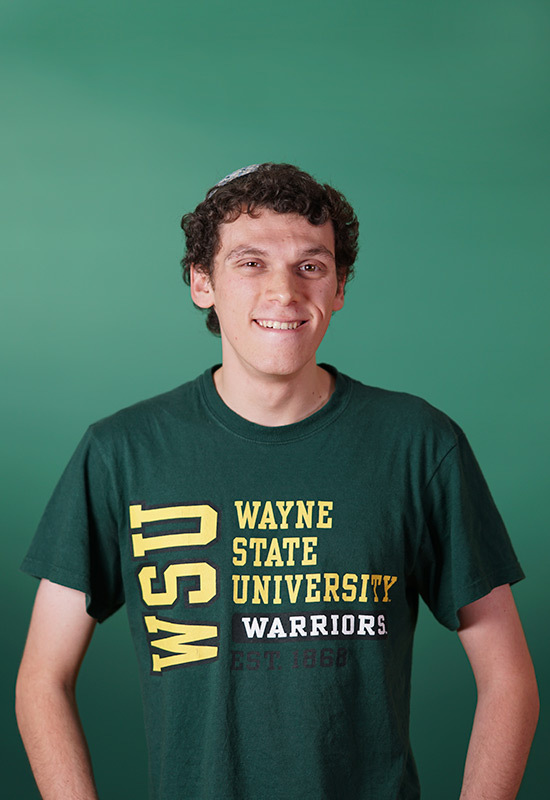 Creative, committed and compassionate, Isaac Weiss is WARRIOR STRONG. I found my voice here. 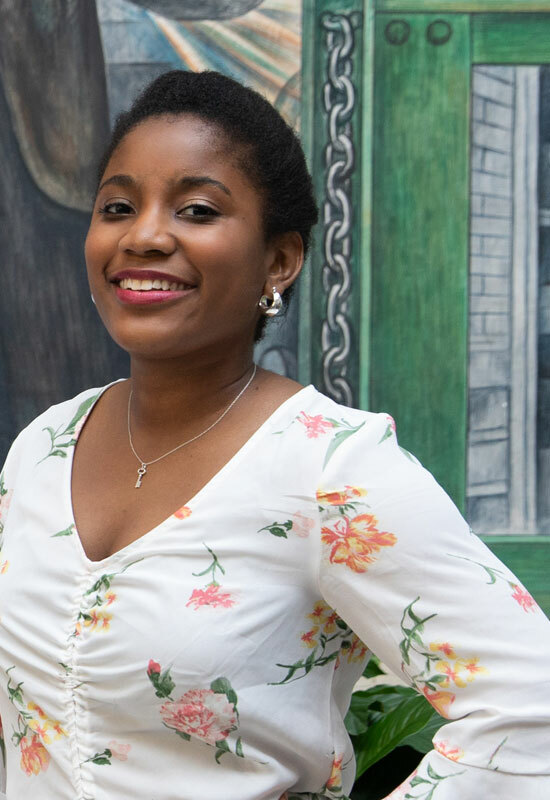 While auditioning for Wayne State’s theatre program, Antonia LaChé McCain strengthened her voice by training with Theatre and Dance Associate Professor Michael Barnes. Now, she’s making history at the Hilberry Theatre. And her voice is being heard loud and clear. Creative, curious and committed to her craft, Antonia LaChé McCain is WARRIOR STRONG.